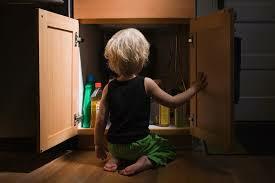 Did you know that each state has a poison information centre? In Victoria, ours is based at the Austin hospital in Heidelberg. The Victorian Poison Information Centre uses the national poison info line 13 11 26. If you call this number, wherever you are in Australia you will get through to people who can assist in the case of poisoning. Poisons can be ingested, inhaled, absorbed, injected, and they can get in your eyes too. However please remember if the poisoning results in a medical emergency, such as the person not being able to breath or if they collapse, you should ring 000. Calling the poison information centre means that you will have access to the most up to date treatments for all types of poisoning. The poison information center are constantly learning what the most up to date treatments are for various poisoning situations. This means they are able to provide us with the most up to date advice. Remember advice from well meaning people, such as inducing vomiting for the ingestion of a poison, may not even be recommended. What kind of information is the Poison information centre able to assist with? You should call 13 11 26 if you or someone has been poisoned, or had the wrong dose, or the wrong medication. 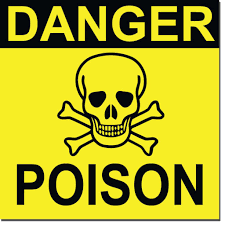 It is important to note that poisons come in all sorts of products including prescription medication, cleaning products, petrol, aftershave or perfume, car products, snail bait, paints, plants and mushrooms, weed killers or insecticides. They also have up to date advice on the treatments for the various bites and stings that occur here in Australia. This includes snakes, spiders, animals, insects and marine creatures. When calling the poison information center, they will need certain information in order to assist you and provide you with the best advice. They will need to know what type of poisoning has occurred and to whom. For example, “my daughter has just eaten some dishwasher tablets”. Weight is important, especially when dealing with children, so they may want to know an approximate weight of the person with the potential poisoning. Details of the potential poison, such as brand name, active ingredients and strength, will be required, along with how much was taken and when. And finally does the person who had been poisoned been given any treatment, and are they showing any symptoms. Be mindful that it can be very stressful when someone has been poisoned. The poison information line will assist you with information regarding what first aid treatment is needed, they can determine if an ambulance is required, or simply advise a visit to your GP. They may even suggest that nothing needs to be done. So remember that poisoning has the potential to be a medical emergency. Call the poison information center on 13 11 26 to get the most up to date advice. And don’t forget if the person is having trouble breathing, or if they have collapsed, you should call 000.